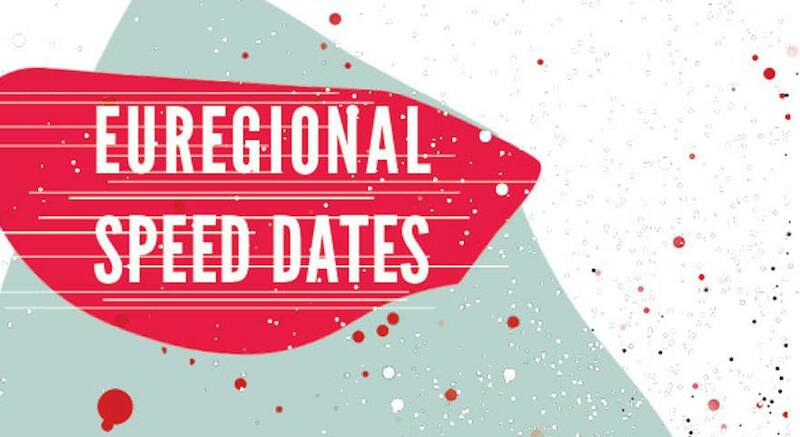 Liege Euregional Speed Dates Meetup is here! What opportunities are laying in the Euregio? Which galleries, artistic residency, design initiatives, institutions, museums, curators, but also alternative exhibition spaces, theatre, fab labs, creative hubs, music venues, performing scenes, exist in the Euregio? How to develop a project in a city of the Euregio and who to contact? Are you looking for answers? 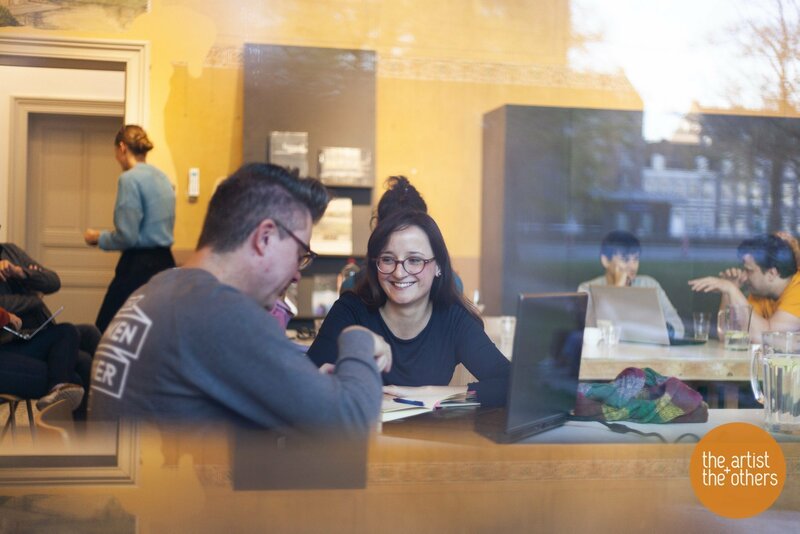 Well, take the chance to speed date with leading creative professionals living and working in the Euregio & Maastricht. A fantastic chance to do not only meet them, but have instant advice and be immediately connected or address to the right person. The Euregional speed dates are the perfect chance for sharing your ideas, projects, needs and dream to an interdisciplinary group experts. The so called CHE Agents, cultural professionals, from different fields, connected, living and working within the cultural/design/ political scene of their city. CHE stands for Creative Hub Euregio a trans-regional and cross-border network of creative within the EMR. Fabian Seibert, is renowned for his product design label SÜLZKOTLETT. He is also half of GRAF SEIBERT, a conceptional furniture art project with psychological issues. Fabian teaches at universities, and develops product and service strategies for companies, guerilla marketing and social design concepts for cities such as Aachen and Moscow and he is co-founder of DESIGNMETROPOLE AACHEN, a network of creative heads, with their newest project being HELLO DESIGNER TOUR, a decentral design & networking festival in the maastricht-heerlen-aachen-eupen-liège-genk-hasselt area in October of each year. Patricia Yasmine Graf is a freelance product and jewellery designer from Aachen, Germany. In 2005, she founded her own brand PYG® Bags. Furniture. Accessories, with a worldwide distribution network. In 2006 Patricia founded the euregional creative network designmetropole aachen with the goal to make Aachen magnetic! To build awareness within the local population and industry and politics that there is a strong and not-to-be-ignored design potential in the region! Since 2011, she has had various university teaching assignments for design and engineering courses at the University of Applied Sciences, Aachen. Patricia Yasmine Graf is one of three founders and visionaries of HOTEL TOTAL – a creative and social concept and network conversion research project, which was part of the program CreateMedia.NRW in 2016. Benjamin Fleig, defined himself as an ex artists, whoo started his career as camera operator in Babelsberg doing eurotrash in film and TV business. After this experience he change his genre to documentary (still doing this as an old flame never dies). And following his passion became an media artist. He also set up and manage PAN kunstforum niederrhein. for museums, galleries, art festivals, cultural associations. Docent for media education, gallery owner and art consultant & Creative Hub Euregio for Eupen. Graduated in History at University of Liege. Jörg has been working since 2011 for the cooperative SMart. Originally from the German-speaking community of Belgium but living in Liege. He has set up the Smart antenna in Eupen. Since January 2016 he has been responsible for the territorial development of the structure for Ostbelgien but also for the euroregion Meuse-Rhine. The aim is to give the same access to the German-speaking Belgians to the tools of the structure but also to promote the exchange and interactivity between the 3 countries of the region. By the force of things it is often confronted with the mobility problems. Persisting that artists are precursors in an economic world that is in the midst of change SMart opens its services to other project promoters in order to live in an economic system that wants solidarity and fairness, where autonomy and security does not exclude. Belgian art historian, Julie Hanique has worked as a cultural manager in Liege (Belgium) for nearly two decades with a specific concern on contemporary visual arts and architecture. As part of the artistic team for the application of Maastricht to the title of Cultural Capital of Europe in 2018, she was aware by the cross-borders collaborations. That’s an aspect that she’s still developing in the international project of SPACE Collection and in the Creative Hub Euregio network. Currently, she manages the team of Comptoir des Ressources Créatives, a platform of tools for and by the creators. Lies Serdons studied Dramatic Expression at the word-music and arts academy in Hasselt. She also gained a diploma of video, which she achieved at PHIKO. Her dance career started with Theater Tol, meanwhile she studied the art of Grotowski, Lecoq, Decroux … Finally she travelled around in Europe and Japan to develop her style in a Butoh form. Since 2005 she started making her own performances, minimalistic solos or in collaboration with national or international dancers, musicians, video-artists. In 2010 she made the choreography for the Alternative Hairshow at the Kremlin theatre in Moscow. Later on she collaborated with Peeping Tom artistic director Franck Chartier to create En Haute a Gauche, which went in première at theatre National. In 2013 her outdoor festival Performa held their first edition giving young and established performance artists the chance to work together. Currently she is the cultural programmer of the world famous Jeneverfeesten and is the business coördinator of Vonk atelierwerking, residence for visual artists in the cities Genk and Hasselt. residency places for stage arts and visual arts in Belgium. Artist and curator Joep Vossebeld is intrigued by the inevitable absurdity, tragedy and irony of our everyday lives. He translates what he sees and experiences into exhibitions, videos, installations and texts. These may be shown separately, or in changing and changeable combinations, without loss of the lightness of observation. His working and writing often involves collaborating with other artists, filmmakers, researchers and institutions. Currently Joep is curator at B32 Artspace, guest-curator at Bonnefantenmuseum and teacher at MAFAD, Toneelacademie Maastricht and Kunstacademie Tongeren. Within the Euregio he is Agent for Creative Hub Euregio (CHE), chairman of The Artist And The Others and member of the selection committee of Space Collection. Jean-Michel Crapanzano studied multimedia art, video, photography and painting at the Academy of Art “Ecole Supérieure des Arts Décoratifs” in Strasbourg (France). Afterwards he obtained a Master as “teacher of Art and Design” at the Academy of Visual Art and Design in Maastricht. Since 1999, Jean-Michel Crapanzano exhibited his work worldwide, among others: Raid project gallery Los Angeles, The Bronx river Art center in New-York, the Arlington Art center in Washington D.C, Sluice art fair in London, Van Abbemuseum Eindhoven, Museum of contemporary art Schunck in Heerlen, Museum of contemporary Art le Casino Luxemburg. His work combine photography, video, wall drawings and participative projects. Jean-Michel Crapanzano is known for his social engagement, between Art, Science, Art education and Prospective. He is currently working on “Artlab for Futurology”, a multimedia participative project. Art & Art education, film-video, photography and Fine Arts. Urban art murals & Art in public space. The event is free, but would be lovely to know beforehand that you are coming! This Creative Hub Euregio event is co hosted by the City of Liege.